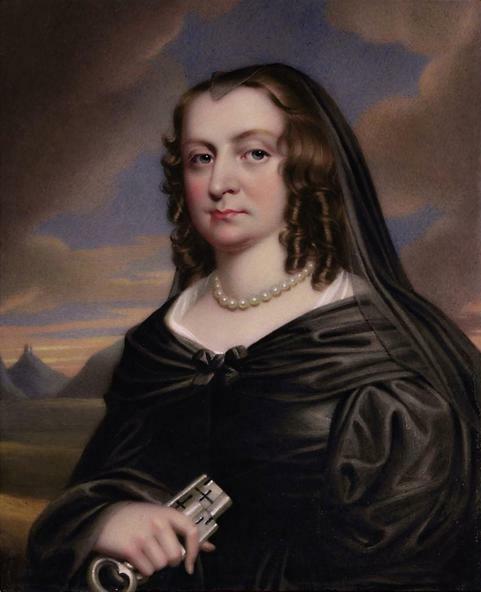 Our school is named after Mary, Lady Bankes (1598-1661). A former pupil, Stephen Graham, has researched the story of her life and the history of the school. Lady Bankes was born Mary Hawtry in Ruislip. She became known as Lady Bankes when she married Sir John Bankes in 1618. Sir John and Lady Bankes had ten children and lived in Corfe Castle, Dorset. Sir John’s death it was left to Lady Bankes to defend the castle against two sieges by Parliamentarian troops. Lady Bankes fought the Roundheads by heaving stones and hot embers on her enemies. Lady Bankes and her few soldiers were eventually overwhelmed in 1646, when the Parliamentarians reversed their jackets and tricked Lady Bankes into mistaking them for her fellow soldiers. Lady Bankes survived the war, but the castle was deliberately wrecked by Cromwell’s men, and has remained in a ruined state ever since. St Martin’s Church, Ruislip, where you can still see an inscription in her memory. Lady Bankes Junior School was originally called Ruislip Manor Council School and sited in Victoria Hall, Linden Avenue. On 7 January 1936 it moved to its purpose-built premises in Dawlish Drive. It was renamed in honour of Mary, Lady Bankes. The first headteacher was Miss M. D. Christian.